Culture affects how we make disciples. We often unconsciously bring our own cultural assumptions into ministry and mission, not realizing that how we think and operate is not necessarily the best or only way to do things. In today's global environment, disciplemaking requires the cultural humility and flexibility to adapt between different cultural approaches. "In this book, longtime mission leader Charles Davis applies a distinctively missionary analysis to the worn-out ecclesiologies of our time. But it's not all critique and analysis: built on narrative and experience, he lovingly provides the church with a very useful diagnostic tool that gives us viable pathways toward renewal of church life and mission. I am grateful for this book." "Discipleship is one of those terms used a lot among Christians but often with little understanding. Ask twenty believers to define it and you'll get twenty different answers. Dr. Charles Davis does the body of Christ a favor by clearly laying out universal principles for growing as disciples and in turn making true disciples. God is calling his body to return to true discipleship and disciple-making, not according to what culture dictates, but what the Bible reveals about moving toward spiritual maturity. Making Disciples Across Cultures is a helpful and provoking resource for every prospective and current message bearer. Overcoming many false assumptions about discipleship, the church and our calling in reaching others, Davis calls us back to Jesus himself and to each other. The book distinctly reminds us of the crucial component of the communal body of Christ in becoming and making true disciples. I highly commend this encouraging book to you." "Too many books are being written to promote the latest fad or method. This is not one of them. In Making Disciples Across Cultures, Charlie Davis makes a practical and compelling case for how to live and lead in the center of biblical tension. This book was written out of the wellspring of experience and is filled with real-life stories that bring the principles to life. I highly commend it to you." "Drawing on his experience as a sojourner in Pakistan and Venezuela as well as his time with TEAM, Charlie Davis shares ten principles that will help us rebalance our understanding and praxis of being vibrant disciple-making communities with God-sized kingdom agendas. You have asked the questions, felt the frustrations and wondered why the Christian enterprise—as so many of us know it—is not working well. Charlie provides transcultural and universally applicable insights to help recalibrate authentic disciple making in your context. Don?t be surprised if you and your discipleship cohort are inadvertently re-energized as you get a fresh glimpse of the Holy Spirit at work in and through ordinary people like you and me. An essential read for every individual or group committed to genuine disciple making both in the West and around the globe." "This refreshing new look at the central mandate of missions—making disciples of the nations—masterfully weaves biblical teaching with stories and anecdotes from a veteran mission leader who is both well traveled and well informed. Over his long career in missions, Charlie has seen it all, and his creative 'slider switches' analogy helps the reader put disciplemaking in balanced perspective." "I know of no one more capable of writing a book on cross-cultural discipleship than Charles Davis. His strong desire for church renewal and his vast global experience uniquely qualify him to write this book. One wonders what the world would look like if a billion people who call themselves Christian would profoundly grow as disciples of Jesus. 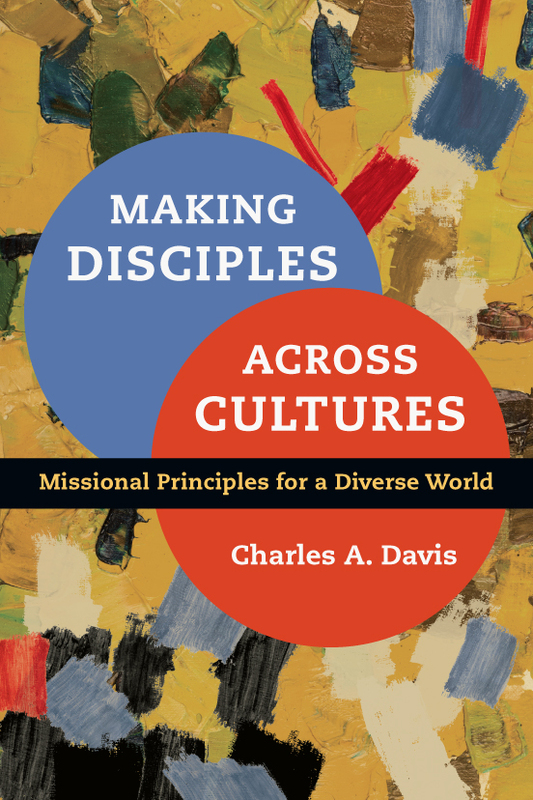 Not only does Davis share his passion and experience, but he also sets forth practical multicultural principles of discipleship. Leaders in the global church, including the church in the United States, need to read this book." "Charles Davis has identified the solution to passive church members, nominal Christians and dying churches. It is a refocus on what our Lord said was priority—making disciples. This is not information from class instruction or mental indoctrination but a process of life transformation through modeling and mentoring that touches practical areas of life and impacts cultures. From a lifetime of overseas service and global leadership, Davis is well-equipped to write Making Disciples Across Cultures. The strong biblical foundation and prolific anecdotes strengthen the book's relevancy for Western churches as well as the mission field." "If one has a heart for serving God and a passion for His mission, then Making Disciples Across Cultures is certainly a recommended read. I would not hesitate to encourage pastors, theologians, missiologists, and similar scholars to include this book in their respective libraries." 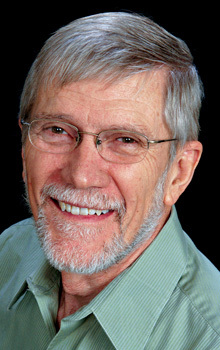 Charles A. Davis (PhD, Trinity Evangelical Divinity School) is the former executive international director of TEAM (The Evangelical Alliance Mission). He has over four decades of crosscultural experience in global disciplemaking and missional church planting. He was previously president of the Evangelical Seminary of Caracas, and he is a member of the Global Leadership Council of the Mission Commission of the World Evangelical Alliance.